Battle for Edgar Lungu’s Lungs: When politics and medical ethics collide | Elias Munshya, LL.M, MBA, M.DIV. One of Zambia’s newspapers published what it claimed were medical records of Hon Edgar Lungu, the ruling party’s presidential candidate. According to that newspaper, Lungu suffers from several ailments among which are an infection to his kidney and lungs. Quoting a report purportedly signed by a Dr. Gupta, the newspaper stated that Lungu needed to undergo treatment in India involving “renal dialysis.” The speculation about Lungu’s illness was heightened by his sudden absence last weekend. The named newspaper further insinuated that Lungu is so sick that he should not be entrusted with the presidency. Online media also jumped on this report to confound the nation by coming up with strange theories. The veracity of these reports cannot be independently verified. In fact, the medical report itself seems to be a fabrication. Since, the newspaper has a history of allegedly forging documents, it creates a doubt in my mind that this particular medical report could be a forgery too. In the 1990s, the paper claimed to have found Frederick Chiluba’s birth certificate. It was later discovered that the so-called birth certificate was a total forgery. Chiluba who was born in the 1940s couldn’t possibly have had a birth certificate then. But in the pursuit of political mileage, that newspaper did not hesitate to publish lies. Zambians should know that the fact that a newspaper publishes a document does not make that document reliable. What is more confusing in this Lungu sickness saga is that the UPND party now claims that it too does have a medical report which lists the ailments of Edgar Lungu. 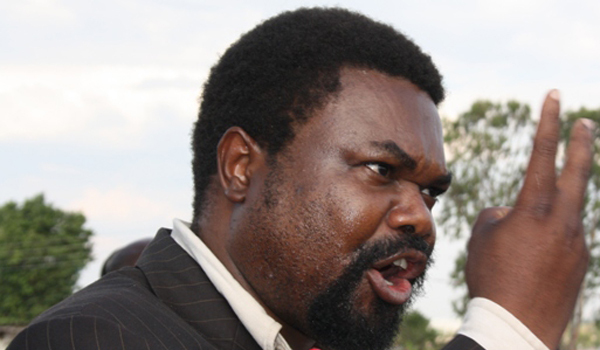 The news from the UPND came through its Vice-President Canisius Banda. Banda is a medical doctor by profession. In fact, he is a practicing physician. What really gets me concerned is that a medical doctor by profession wants to use this report as a way to blackmail Edgar Lungu into giving up his candidacy. We submit, that what Banda is doing is unethical and could violate physicians’ professional standards. Professionals have been a valuable resource to the political establishment of our nation. Zambian politicians now comprise Grade 7s, Grade 12s, college alumni and university graduates. It is a rich diversity of educational backgrounds. That is exactly what we need. We have had lawyers, welders, doctors, preachers, and engineers among others, join the political vocation. Today we have an engineer Yamfwa Mukanga serving as a political leader. We have lawyers such as Edgar Lungu. There are reports though that the Law Association of Zambia, for stealing client’s money, withdrew Edgar’s practicing certificate. Lungu must explain this unethical conduct on his part. Currently, Dr. Canisius Banda is one of the highest-ranking politicians who are also practicing doctors. As such it is quite concerning that Banda could be at the centre of this controversy regarding Lungu’s so called medical report. Medical doctors, like any other helping professions, have professional ethics that they must observe. One such ethics is the duty of confidentiality. There is just too much information that passes between a patient and a doctor. As such, all doctors have a duty of confidentiality to their patients. This duty reinforces the confidence in the medical system. For medicine to retain the confidence of the public, workers should be able to protect confidential information that comes their way due to the nature of their work. This duty of confidentiality does not just affect a particular doctor and her particular patient. It extends beyond that. A medical doctor should not be using private health information about any patient, even if she is not the primary physician attending to that patient. As such, Dr. Canisius Banda cannot justify his blackmail by claiming that he is not the source of the report. That which Dr. Gupta cannot do due to professional ethics, Dr. Banda cannot do due to professional ethics. 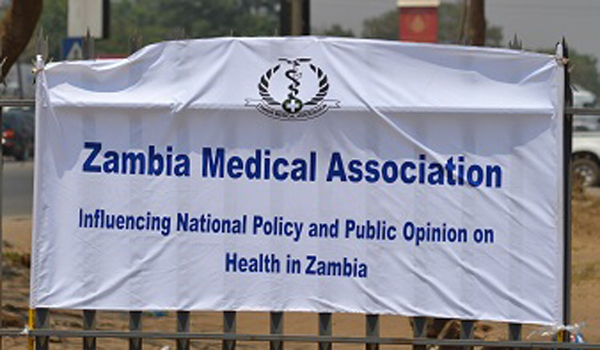 It is not an excuse for Dr. Banda to claim that he was not the primary physician of Lungu’s. The fact that the medical report was allegedly fraudulently obtained from Lungu’s physician still places an ethical obligation on any other doctor not to deal with that information in a way that is medically or politically prejudicial to Lungu. We have no evidence that this report is actually factual or accurate. Nevertheless, Dr. Banda should not be connected with the threats he is issuing about releasing this medical report. He is a doctor. Dr. Banda, as a politician, has the right to do his politics in any way he wants. But he is also a medical doctor who has ethical obligations to fulfill. His political actions of medical blackmail offend the common decency of the practice of medicine. We professionals do not get immunity from professional obligations simply because we have joined politics. Lawyers who are in politics still have an obligation to treat their clients and former clients in an ethical manner. It would be a ridiculous Zambia where lawyers begin using information they obtained during legal practice to blackmail political opponents. The same applies to doctors. Since Dr. Banda appears to be a good physician, there are chances that he has treated a lot of politicians in Zambia. However, with this threat to blackmail Lungu, I have no doubt that those politicians could have a reason to worry. If this gentleman has medical data on Lungu, which he now wants to use against Lungu, what would stop him from releasing information about anybody else? Banda’s comments should be condemned. He is a medical doctor and should adhere to the ethics and oaths of medicine. It would be a shame for him to be at the centre of this debacle. I do see why some Zambians should be concerned about the health of presidential candidates. But demanding medicals for candidates is as ridiculous as demanding that candidates be of a certain level of education. If indeed we should be caring about medical reports, then the next questions to deal with would be: where are we going to draw the line? Does evidence of a disease of the lung affect a person’s ability to rule? This is why our constitution only states that one should not lead if they are “incapacitated”. It does not say that one must not rule if they are sick, for such a requirement would be impossible to meet by mere mortals. I am not interested in knowing whether Lungu has a disease of the lungs; all I am interested in is to know whether Lungu will stop corruption, nepotism and tribalism. If he gets incapacitated, we will then ask Cabinet and our parliament to remove him from office. But this obsession with medical reports could only transform us into a nation of sadists and political vampires. I just hope there is no medical report somewhere telling us how much quinine, metronizadole, or sildenafil politicians took last year. For such a report is completely irrelevant to major questions we should be asking this election season. Questions to do with nepotism, corruption, theft and tribalism. Bro I always read your articles, impressive work. Great articles banashina. Interested to chat about the legitimacy of the PF candidate given the absence of a proper process for selecting the candidate. Both Guy Scott and Edgar Lungu have made enormous mistakes. 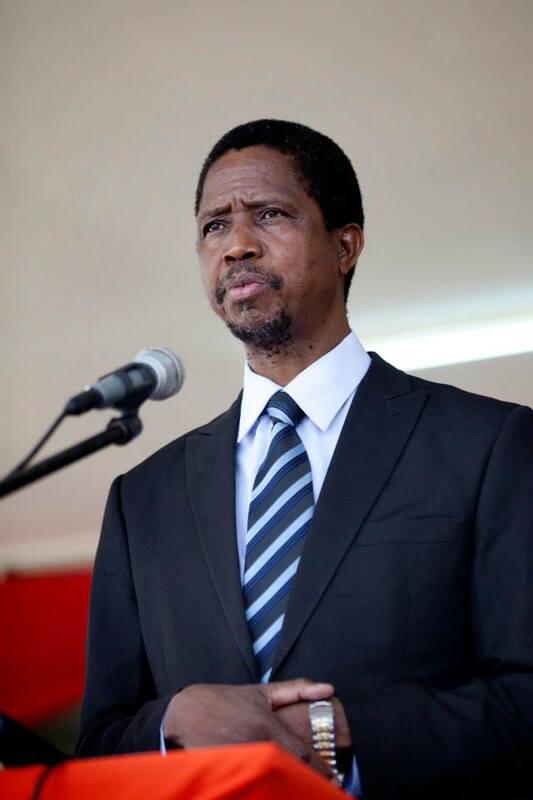 Are you giving Lungu a pass on hijacking the PF general conference? If Lungu was so popular, why be afraid of due process? I would like to have seen Lungu win a fair fight at Mulingushi. That is good for democracy. Our country I fear is right now in a serious spiral towards ochlocracy. It does not appear as if the courts can provide redress. Where to mother Zambia. Let us debate. How I wish there was something to take home as Political ethics within the Zambian context. Such an ethic, if at all feasible, would include the voluntary decline from taking up strenuous and costly public offices such as Presidency as a moral decision that would serve the country from the undesirables that come with the health burdens of its leaders. Given the nature of our humanity, the laws of enthropy etc, we nevertheless cannot escape the health question; all of us, we will and we all do need medical doctors at one time or the other. For this reason, I cannot agree with you more on the moral obligation of confidentiality in medicine. What is more worrisome is that the media in Zambia seems to thrive on lies and whenever possible loop in for any stint on blackmail. The call must be ethics everywhere. Well said Munshya. This obsession of using medical records to discredit presidential candidates in the upcoming election must stop, it is presently not a requirement. It is very disappointing that Dr. Banda should issue such threats for the sake of gaining political mileage. what we need is professionals like him to bring good ethical conduct to politics, to transform the political system towards being issue based. That professionals are willing to cross such red lines is alarming, and sets bad precedence for others aspiring to join active politics. On the other hand, we need to seriously consider having a medical exam requirement for presidential candidates, a number of countries have it in place. We have seen the lack of effectiveness in the current system to call out a sitting president based on “incapacity”. Cabinet is clearly not the best watch dog here, and candidates do not have the good sense to stay away or resign for health reasons. As such, we need something to act as a check, to lessen the probability of having state funerals every so often.